Register for free and you can win a four-day/three-night, all-inclusive stay for two at the Grand Sirenis Matlali Hills Resort and Spa in La Cruz de Huanacaxtle. The Riviera Nayarit Convention and Visitors Bureau (CVB) is looking forward to celebrating Valentine’s Day this coming February 14th and its Marketing Department has launched the contest titled “Riviera Nayarit, the perfect place to enjoy as a couple” on February 8, 2017. 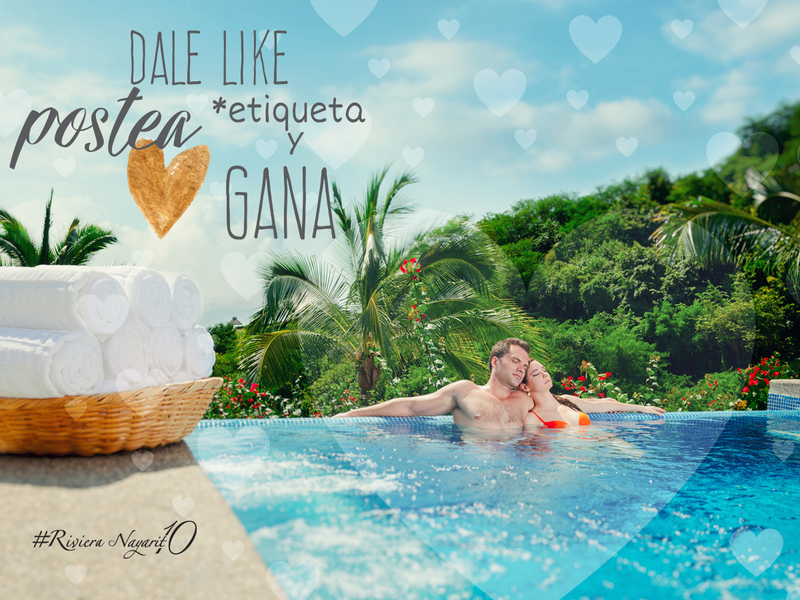 “We’ve created the contest thinking about pampering our followers while promoting the Riviera Nayarit as a destination for romance and weddings,” explained Marc Murphy, Managing Director of the Riviera Nayarit CVB. The rules are very simple: all you have to do is visit the Destination’s official Facebook page (http://www.facebook.com/rivieranayarit.mx), where there’s an image posted announcing the contest. Comment on it with a picture of love and tag your partner. At the end of the contest, the image with the most likes wins! The only requirement to accredit your win will be having liked the Riviera Nayarit’s Facebook page as well as the Facebook page for the host hotel: https://www.facebook.com/MatlaliHotelOficial/?fref=ts. Residents of Mexico 18 and older can participate free of charge. The winner will be chosen on February 15, 2017 and the official announcement will be made on February 16th. The grand prize is a four-day/three-night, all-inclusive stay for two at the Grand Sirenis Matlali Hills Resort and Spa in La Cruz de Huanacaxtle.